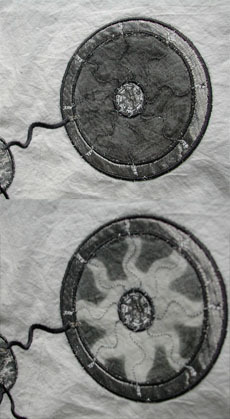 The Spaceships textile is a textile-based (washable) four “pixel” display. 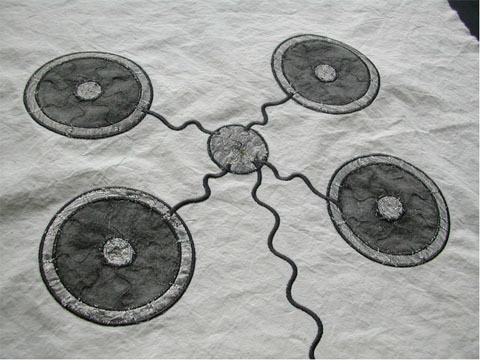 The individual circles can turn white or black, using conductive yarns, resistive heating, and thermochromic inks together with custom electronics components. 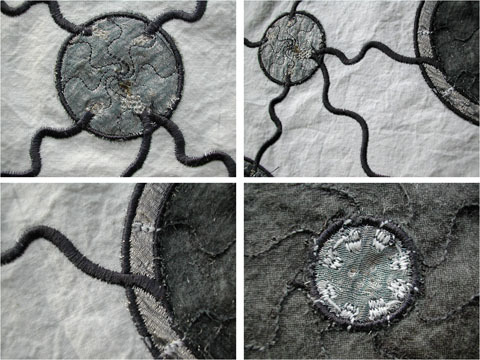 We use a variety of different conductive yarns and textiles (with different electro-mechanical properties), together with specific stitching and construction techniques in order to construct this “soft” circuit board.